In the heat of summer in Lexington, KY, homeowners often rush to replace air conditioning equipment when the old system breaks down. This is a mistake because selecting the right equipment and a reliable contractor is essential. 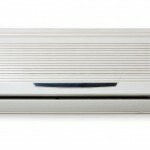 Rather than rushing to buy the least expensive air conditioner, it is important to research your options to find the best solution for your home. Energy efficiency is always important when choosing an air conditioning system for your home. Replacing old equipment with an energy efficient system will help to reduce home cooling costs and your carbon footprint, which benefits your budget and the environment. Air conditioners are rated based on efficiency and your contractor can help you select an energy efficient air conditioning system with the right capacity for your home. In addition to the efficiency rating of the equipment, the size is an important consideration. A system that is too small for the home will not provide adequate cooling. However, a system that is too large for the home causes other problems. When a system that is too big is installed, it will cost more to run, won’t adequately control humidity, and the lifespan of the system will be reduced. Your choice of a contractor will influence the comfort level and energy efficiency of your new air conditioning system. When equipment is not installed correctly, performance and efficiency are negatively affected. An experienced professional with the proper training will ensure that the equipment is installed according to the manufacturer’s specifications for optimal performance. There are several decisions that a good contractor makes to ensure quality performance. 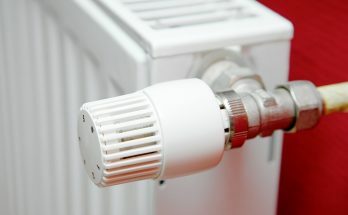 The location of the outdoor unit, filter assembly, and thermostat can significantly influence performance. Additionally, an experienced professional air conditioning contractor will check to make sure the duct system is the appropriate size and working properly and make sure that the drain system is operating as it should. Once you have found the right system and a good contractor, regular maintenance of your new system is important. When a system is properly maintained, performance is improved and you will get the maximum lifespan from your new system. There are maintenance plans available to ensure that your system remains functioning properly to keep your home comfortable in every season.